The topic of today is about Lyme Disease, which, specifically, needs to be addressed in an integrative fashion. Those of you out there who have Lyme Disease or know people who do have Lyme Disease, know that the traditional conventional way that medicine approaches this is truly ineffective unless you catch it very early in the infectious stage. If you can diagnose the condition in the first month or so, then antibiotics can take care of it. 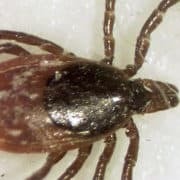 A Nova Scotia nurse says her community is facing a Lyme disease epidemic in the form of an increased risk of Lyme disease. She is calling on Ottawa to act, even after it announced 4 million dollars in Lyme disease prevention last week. This time of the year, we’re seeing an increase in ticks and tick bites across the country. In New Brunswick officials say they expect to see an increase in Lyme disease cases. 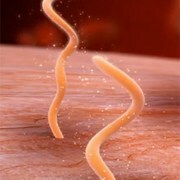 According to the CDC, Lyme disease is the fastest growing insect borne infectious illness in the United States. 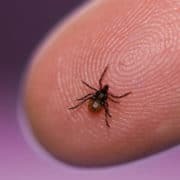 In fact, in the time it takes you to watch the above video, or read this article, 17 people will be diagnosed with Lyme disease. 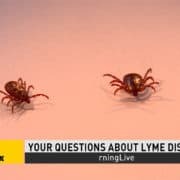 These people affected by the Lyme disease epidemic will potentially face a lifetime of physical, psychological and economic suffering as a result. https://www.amaskincare.com/wp-content/uploads/2018/04/lymediseaseepidemictick.jpg 571 936 Alice Pien, MD & Asher Milgrom, PhD /wp-content/uploads/2017/10/AMA_large_logo.png Alice Pien, MD & Asher Milgrom, PhD2018-04-09 19:34:282018-05-26 16:28:11Lyme Disease Epidemic - Why is the Government Suppressing it?